It’s time to look at your Scottsdale taxes again. Another year has come and gone and soon it will be tax deadline day. Regardless of whether you hire an accountant, use an online tax service, or file your income tax returns yourself, one question constantly appears on your tax return form. The question? Did you move last year? While the answer seems relatively simple – you either moved or you didn’t – the answer may often create a lengthier list of additional questions that may affect how much you either owe to or are to be refunded by the IRS. Let’s take a quick look at three separate scenarios worth considering, and what you should know about each – and how they may affect your Scottsdale taxes. If you relocated to a different state during the tax year, you’ll be required to file a part-year tax return for the portion of the year you resided in that state. Naturally, you should receive W-2 forms from your employer with income information for each state you lived in during the tax year. 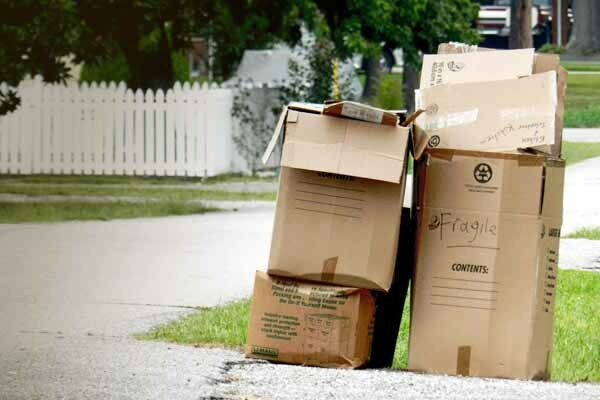 When it comes to the tax return itself, if your move was precipitated for work purposes, it’s possible to deduct moving expenses for the relocation. If that’s the case, make sure you have proper back-up – receipts for storage fees, movers, and travel expenses. While moves paid by your employer are not deductible, it’s still a good idea to have all your receipts in the event you find out they aren’t eligible for reimbursement by your employer, but may be tax-deductible. That could be good news for your Scottsdale taxes. If you purchased your home during the taxable year, welcome to a whole new list of expenses, but also some nice tax benefits. Homeowners can deduct mortgage interest expense they paid during the taxable year, prorated property taxes for the time they owned the home and any loan origination fees or “points” (a percentage of the mortgage loan amount usually charged by the lending institution.) If you have a mortgage – and these days, who doesn’t? – you should receive Form 1098 from your mortgage lender. Form 1098 should include mortgage interest you paid during the taxable year, real estate property taxes paid out of the escrow account on your behalf, and any points you may have paid as a result of obtaining the loan. In addition, the form will show any private mortgage insurance (PMI) premiums, if applicable, which are also tax-deductible. It’s also important to have copies of your closing statement and the closing disclosure (legally required from the mortgage lender to the buyer no less than three days prior to loan closing.) These documents recount the financial trail of the sale and closing of the loan. The two forms can prove invaluable to tax preparers because they can readily see the information necessary for preparing your Scottsdale taxes – along with the Form 1098 from your mortgage lender. While selling your home lacks all the tax-deductible perks buying one has, in most situations you can protect the profit you earned from the home’s sale from being taxed. IRS regulations say a profit of up to $250,000 for individuals and up to $500,000 for couples filing jointly need not be reported on your tax returns – if you primarily lived in the residence for a minimum of two years out of the last five years. Again, as with buying a home, it’s a good idea to keep the closing settlement for your records as well as any receipts for any home improvements you’ve performed on your home. The reason? The cost of replacing a roof or adding solar panels could potentially be used as expenses to be subtracted from the original profit amount. In addition, experts say, homeowners should add the cost of such items to the price of the home when they sell it. Naturally, unless you were fortunate enough to sell a multi-million property, property values rarely reach levels where the $250,000 or $500,000 exclusion applies to the average U.S. home seller. With the average sales price of a home in the nation at around $350,000, the home value would likely have to more than double to reach the exclusion level. For situations where you as a seller didn’t reside in the home for the required two years out of the last five, certain provisions may apply that could affect your ability to get a partial exclusion. If there are circumstances beyond the homeowner’s control – such as an illness or job transfer that required you to relocate – you may still be able to avoid paying taxes on at least part of the profit. Experts say in such unforeseen circumstances, homeowners are sometimes granted half the exclusion amount. As is the case with any tax-related question, if you have concerns about what is and isn't deductible on your Scottsdale taxes, we strongly encourage you to consult a CPA or tax professional. 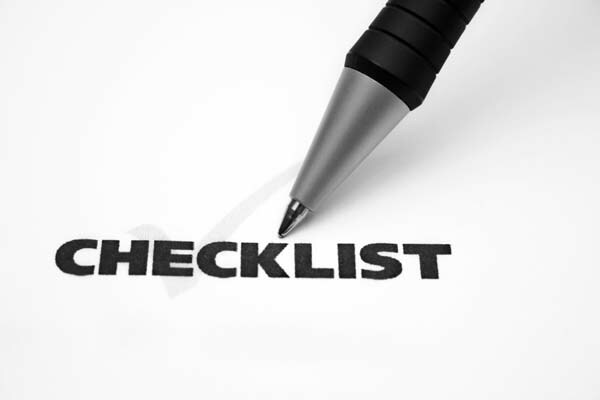 And, as always, make sure you have all home-related documents and expense records in a safe place at your disposal in the event you’re asked a question that may require back-up for your tax preparer. Knowing as much as possible about what tax consequences homeownership carries with it is an important asset. And, for homeowners who’ve moved during the tax year, it can mean the difference from being able to deduct money from your Scottsdale taxes and having to potentially pay more. In examining Scottsdale real estate trends, at first glance some statistics are difficult to understand. For example, when it comes to homebuilder confidence in the December report recently released by the National Association of Home Builders (NAHB) the number reflects the highest confidence level since 2005 – a period of 11 years! In addition, the one-month move was cited as the largest in 20 years – attributed, in part, at least to the post-presidential election optimism on behalf of many NAHB insiders. Confusingly, just a day later monthly reported statistics on home construction published by the U.S. Census Bureau showed a drop of nearly 19%. The bottom line, at least on the surface, is the nation’s homebuilders are very happy and extremely optimistic, but not enough to build more single-family homes in the current market. As mentioned, the numbers – and the concepts – seem difficult to understand. Let’s take a closer look at what may be at the root of the confusion. Homebuilder confidence as part of Scottsdale real estate trends, as it turns out, cannot only be portrayed in different ways, it is also very subjective. For example, one expert contends, if you consider the results of the NAHB survey and include surveys from businesses asking them if conditions are the same, worse or better in the face of the recent presidential election, you may find that the results are indications of the “direction” of change, not the “degree" – in other words, qualitative and not quantitative. Quantitative analysis can only be measured after the fact and typically has little to do with theory or anticipated results. Homebuilders continue to be thwarted by a myriad of new regulations that end up costing as much as 25% of the price of a newly constructed home. In addition, labor shortages – nothing new in the new construction industry – continue to weigh heavily on homebuilders’ abilities to gear up to the degree they’d need to to meet the existing demand. Ironically, the labor shortage – primarily because it relies on a large number of immigrant workers – may continue during the upcoming Trump administration. Other factors holding builders back include the high costs of land and building materials – with little relief in sight – as there are fewer finished, construction-ready lots in the neighborhoods and subdivisions in which buyers want to live or move into. Then, there's the whole feeling of cautious optimism that comes as a result of previous housing industry setbacks – and most homebuilders are very cautious after enduring the severe housing crash of a few years ago. Lastly, as a homebuilder operating purely on a business level dealing with supply and demand and the proverbial bottom line of making a profit, by building fewer homes in a market – largely called a seller’s market – they can command a higher sales price for the homes they build, and that's one of the Scottsdale real estate trends that's hard to ignore. See more articles pertaining to Scottsdale real estate trends in the section of articles on Scottsdale Real Estate just below Scottsdale Real Estate Categories in the column to your right. And remember, we also post tips daily on Facebook and Twitter. Check us out there, too. In Scottsdale insurance news, it's no secret Americans have bought and continue to buy millions of household security cameras and home smoke detectors connected to in-home Wi-Fi networks. However, so far, insurance carriers aren't convinced the technology will improve home safety. Despite the devices designed to prevent billions of dollars in home damage and loss, the average cost of insuring a single-family home is projected to increase in 2017. So, what's the significance of this Scottsdale insurance news? As usual, it's all about money in big business. If it can be substantiated that these new technological gadgets improve the safety and security of American homes it could mean billions of dollars in lost revenue. The projected revenue loss will likely exceed the costs major insurers would save in settling insurance claims over time. For the homeowner/consumer's part, sales of internet-connected home safety systems are forecast to more than quadruple over the next four years. As a result, many consumers feel the insurance companies should embrace their usage and recognize the technology as loss prevention features designed to save money. "Insurance companies should provide an incentive" for homeowners who use internet-connected security cameras, thermostats and lighting, says one frustrated homeowner. Currently, most insurance carriers provide premium discounts for homes utilizing basic security devices. What remains to be seen in the Scottsdale insurance news is the advent of insurers allowing premium reductions for the internet-connected security equipment – especially if it can be proven more effective than the current equipment. While some carriers have made Scottsdale insurance news by offering modest premium discounts for the new devices, the savings aren't significant enough yet to reduce the average home insurance premium. Insurance insiders predict the average premium on a single-family home in the U.S. will increase 5.5% to $1,293. The premium represents a whopping 61% increase from 2006. 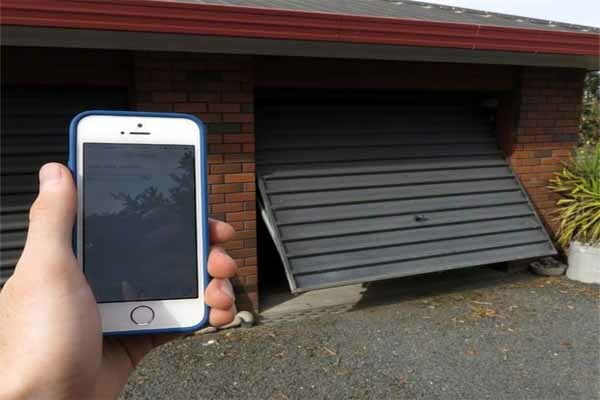 The research and data being collected from homeowners and analyzed by insurance carriers has been compared to similar efforts by auto insurance companies. Auto insurers have used devices that monitor how far their customers drive and how frequently they slam on brakes. They've been using that decade-old research to adjust pricing of insurance premiums. In some cases, drivers who agree to use the data collection tools can save as much as 30% off their premiums. One can only imagine how a 30% homeowner's premium reduction would make Scottsdale insurance news! In the meantime, homeowners should keep a watchful eye on Scottsdale insurance news as advances in smart-home technology are made often, with home security and safety as one of the most important goals. You can find more articles pertaining to Scottsdale home insurance news in the Scottsdale Insurance section of our site below Scottsdale Real Estate Categories in the column to your right. If you’ve looked at listings of Scottsdale homes for sale, no doubt you’ve seen a variety of homes on the market – some that have been prepped for sale and others that probably shouldn’t be listed yet. Ultimately, how your home is presented for sale will determine whether it will sell in a timely manner and at a good price. Let’s take a closer look at several steps you should take before you decide to try and sell Scottsdale homes and do so in a timely manner. In today’s “information age,” there’s really little excuse for having a pretty good idea of what your home is worth. Online websites like ours provide good information regarding your home’s value based on estimates of comparable sales data of homes for sale that are similar in size, location and age. Most websites are easy to navigate and offer users the opportunity to see recent real estate sales in the market categorized by zip codes, neighborhoods and sales price ranges. One tip: Be sure to concentrate only on actual sales prices versus listing or asking prices. In addition, give consideration to what it would cost to perform needed repairs, upgrades, or improvements and factor those deductions into your home’s value. Visiting this or other real estate websites will give you at least a ballpark idea of what your home is worth compared to others on the market when thinking about how best to sell Scottsdale homes. You can then use this information prior to discussing sales price strategy with a real estate professional – or negotiating with a prospective purchaser. To ensure the smoothest sale and closing transaction experience, it’s best to anticipate paperwork needs and be prepared. Experts say you should be aware of any existing title issues when you get ready to sell your house, including any outstanding liens, mechanic’s liens, or unpaid property taxes. Gather pertinent information concerning the ownership of your home including lending documents, the previous home inspection, and pest control inspection report. Also, in order to convey a clear, marketable title to the purchasers of your home, make sure you have a death certificate, will, or affidavit of heirship if the home is in a deceased person’s name. In addition, in the case of shared ownership, have the written consent of all owners – and any additional paperwork or documentation that may be relevant to the home and your ability to sell it smoothly and quickly. The decision to sell Scottsdale homes should include choosing the method of sale that best suits your needs. As the home seller, you can retain the services of a real estate professional to list your home and put it on the market. Using a real estate agent is a popular choice for home sellers who want to place their faith in the hands of a professional real estate salesperson, trained and experienced in selling homes for a living. It’s also a good choice for sellers who want to capitalize on the highest value their home can command and those who can afford to wait a few months, if necessary, to consummate the sale. Having your home in tip-top shape is key in having it listed by a professional real estate agent. They deal in attracting residential buyers serious about making a purchase. So, a property in optimum shape will likely get the most attention and the most prospects. If there are repairs or upgrades required you can always list the property and note the items you are willing to pay for or have completed prior to the closing of the sale. Conversely, you can choose to sell your home directly by “For Sale by Owner,” in which case you’ll be responsible for coordinating and scheduling showings, fielding phone calls and other inquiries and marketing your home for sale in all the normal and traditional channels. As a third alternative, you can consider selling your home directly to an investor – especially if your property needs extensive repairs, or if you need to sell it quickly for various reasons. Investors who purchase property tend to pay cash, are ready to close relatively quickly to bring the property to proper standards if they plan to rent it out, or improve the house and try to then resell it at a profit, a practice known as “flipping” a home. Lastly, anyone choosing to sell Scottsdale homes to an investor needs to be aware they are usually skilled negotiators and may have a better idea of what your property is worth than you do. So, be smart. Negotiate items like closing costs or other costs if you can. You may want to make a quick sale, but be careful not to leave too much money on the table, if at all possible. Although this particular tip for listing your house among the homes for sale seems like a “no-brainer,” you’d be surprised at how often it’s overlooked. Make sure your house and yard are tidy, neat and clean to make them more presentable to prospective buyers. The home shoppers visiting your house will perceive the home as more valuable in a clean, organized condition. In addition, having “a place for everything and everything in its place” will promote the perception the house is well-maintained and the sellers have an eye for detail. This perception will likely make the home more attractive to like-minded purchasers. See more articles pertaining to ways to sell Scottsdale homes in the two sections of articles on Scottsdale Home Selling Tips and Scottsdale Homes for Sale just below Scottsdale Real Estate Categories in the column to your right. Scottsdale Mortgage Outlook: Are Rates Going to Rise? The Scottsdale mortgage outlook is expected to include higher interest rates for 2017. The Federal Reserve’s recent short-term interest rate hike was both highly anticipated and expectedly minimal. And, while the fed funds interest rate has little direct correlation to longer-term mortgage interest rates, there has been – and may continue to be – a slight upward movement in rates for home loans. Even prior to the Federal Reserve’s action, the average interest rate for conventional 30-year fixed rate mortgages increased after the recent presidential election. The rate hike saw record-low mortgage rates increase on average from a half to three-quarters of a percent. Post-election stock market activity meant investors were bullish on stocks and less interested in the bond market. 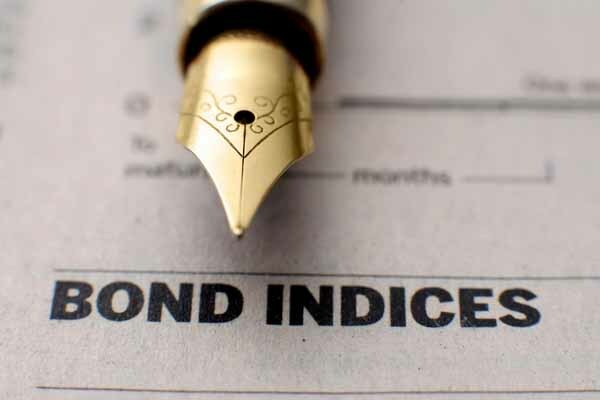 Since long-term mortgage rates are more closely tied to the 10-year yield of U.S. Treasury bonds, rates rose as bond market investments declined. A burning question exists, however, as to whether the Scottsdale mortgage outlook of rising rates will really make much difference to the housing market in 2017. The reason for the question is simple: Increasing rates, as exhibited by the Federal Reserve, are indicators of a stronger national economy – and a stronger economy historically favors the housing industry. The unknown factor, however, tends to be largely intangible – buying a home is one of the most emotional purchases an American consumer will likely make. In a recent survey published by real estate brokerage firm Berkshire Hathaway HomeServices, 76% of existing homeowners and 79% of potential homeowners mentioned higher interest rates as a major challenge for the existing housing market. Even more significant is that each of those statistics reflect increases of 16% and 8%, respectively, from the same period of time in 2015. The report also revealed the anxiety of a larger number of owners and prospective buyers would increase if the Scottsdale mortgage outlook were to include further rate increases. The lesson here is that when it comes to housing, perception is reality. Case in point: Interest rates are still within 1% of all-time historic lows, but to many potential buyers – especially first-timers – it may not seem that way, in light of the recent attention rate increases have received. Still, in the face of recent increases there are real estate experts who feel rates won’t climb much higher in 2017. Redfin, for example, predicts rates will likely reach no higher than 4.3% for a 30-year fixed rate mortgage. In addition, they expect an ever-improving credit market, citing large financial institutions like Bank of America, Wells Fargo, JP Morgan and Quicken, who in 2016 offered mortgage loans with just 1% – 3% down. Redfin says these and other programs will attract more millennials and first-time buyers into the U.S. housing market in 2017. In addition, to further highlight the intangible impact the Scottsdale mortgage outlook may have on the home buying public, Zillow offers this recent finding. In a survey of consumer housing trends, Zillow says home purchases were more closely tied to a consumer’s overall financial health than to any interest rate changes. They found certain life events – like employment changes, promotions, job-loss, or a change in the household make-up were more impactful factors affecting a home purchase. As a result, Zillow says, while there is naturally concern over the part of prospective homebuyers about rising interest rates, they are quick to realize that by historical standards the cost of borrowing money today for a home mortgage is very low. Lastly, while rate increases may have an impact on where they buy or the size home they buy, most purchasers are committed to entering the housing market once they elect to do so. Of concern to many experts is the affordability factor that appears to be weakening – especially among first-time home buyers. Year over year – from 2015 to 2016 – the number of available homes for the average first-time buyer dropped over 12% according to Trulia. Other Trulia findings show that while premium or higher-end homes comprise roughly 50% of available listings nationwide, starter homes – attractive to first-timers – make up only 25% of listings. In addition, first-time buyers are expected to spend roughly 39% of their monthly income to afford a home, compared to 37% in 2015. Finally, as we analyze the Scottsdale mortgage outlook for 2017, one continuing concern lingers in the housing market – available inventory. Experts say the biggest obstacle facing a strong spring housing market won’t be higher interest rates, but a lack of home supply. Real estate listings throughout the U.S. fell in 2016 compared to 2015 with little sign of improving enough during 2017 to impact the spring. Sales increases, quite simply, are dependent on housing supply – and one can’t occur without the other. 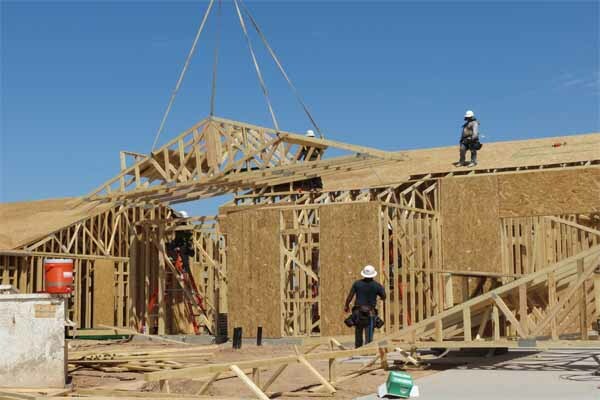 While the new-home market is on the rise, homebuilders have still been unable to keep up with the demand for new housing, and housing starts have been lower than usual. In addition, homeowners who would normally be selling their homes to move into larger, better or more expensive homes aren’t moving as they once did. Experts say a typical homeowner stays in their existing home twice as long as they did just 15 short years ago. Increased interest rates will likely continue this trend as consumers won't sell their homes unless they have another home to buy – and probably will be less likely to pay more for the financing than they currently pay for their lower-rate mortgages. In summary, the Scottsdale mortgage outlook seems to be less about rising rates and move about other factors – some that are intangible like financial well-being – and others that are more practical like home inventory and new- and existing-home supply from which to choose. You can find more articles pertaining to the Scottsdale mortgage outlook in the "Scottsdale Mortgage Info" section of articles just below Scottsdale Real Estate Categories in the column to your right.